Of our creations, there is only one that has inspired Peter Gabriel and C.S. Lewis in equal measure: the wardrobe. An imposing yet important part of your bedroom (an absolute must in our book), there is nothing worse than a badly fitted or planned wardrobe. If you get your wardrobes right, this would make for a tidier bedroom. As well as being able to find everything without fighting your way through other garments. We at Stephen Cleary Carpentry are familiar with the ‘joys’ of rummaging through badly designed wardrobes. So much so, we favour a bespoke approach – especially built-in wardrobes with sliding doors. We can turn our attention to modern and traditional designs with solid wood. Whether your dream wardrobe is built-in or freestanding, we can help. Everything is built to last. Ceiling heights or unusual shapes have never fazed us. We can think the unthinkable and look at more ingenious ways of maximising space. Floor to ceiling? We can do that. Mirrored doors? Ditto the above. Pink with yellow spots? If you must; each to their own. 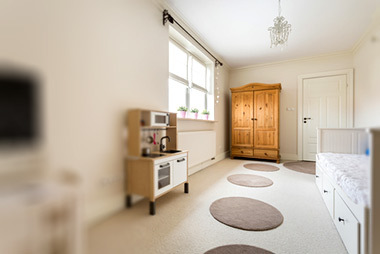 Intelligently planned from floor to ceiling, they can make for a tidy look in your bedroom. One of the advantages of these wardrobes is capacity: one can run the whole length of your bedroom wall. You can incorporate your drawers and put your shoes in one place. A real joy, especially if you like your bedrooms to be minimalist. The traditional wardrobe is freestanding, typically mounted onto the wall. Twin doors opening outwards are favoured over sliding doors. You can also have a Tallboy Wardrobe, which has a half width wardrobe and a set of drawers along the side. Or a combi wardrobe, which combines the drawers with a wardrobe. If you’re short of space, this is a good option. For further information, why not give us a call on 046 9028374 or 086 2448792, or send us an email to clearycarpentry@gmail.com or stevencleary86@gmail.com. We will be happy to help you with your queries and offer you a free no-obligation quote. Stephen Cleary Carpentry, 12 April 2017.